Motion Picture Soundtrack for Long Strange Trip. 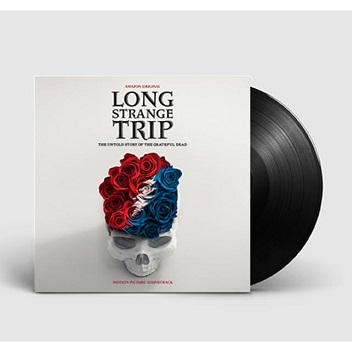 Long Strange Trip is an unprecedented four-hour documentary about the legendary band the Grateful Dead from executive producer Martin Scorsese (Silence, The Departed), and director Amir Bar-Lev (The Tillman Story, Happy Valley). Long Strange Trip probes the creative forces, subversive ambitions, and interpersonal dynamics that drove the Grateful Dead in their 30-year career. The first biographical film authorized and supported by the band, LST includes never-before-seen archival footage (of performances, backstage, and home movies) as well as new interviews with band members and cultural critics.